In its most recent round of reviews, the Global Forum found Ghana to be Partially Compliant with the international standard on transparency and exchange of information. Ghana had been previously rated Largely Compliant in its 2014 peer review report. The review found that whilst the legal framework for availability of ownership, accounting and banking information is in place, in practice however, compliance with annual filing of returns needs improvement and oversight of availability of ownership information was not sufficiently rigorous, which is likely to have a significant effect on exchange of information. While Ghana’s Revenue Authority has sufficient access powers, it did not have appropriate internal organisational processes to receive and process all the requests in a timely manner. 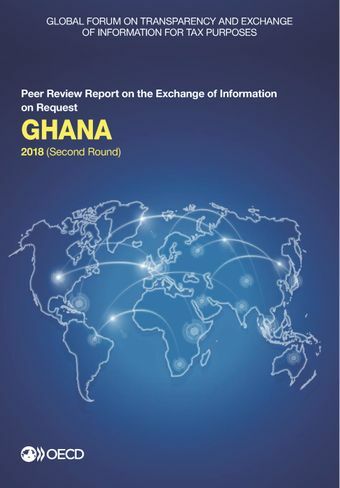 Ghana has also not demonstrated effective communication with peers, resulting in a fundamental effect on EOIR in practice in the review period (from 1 October 2013 to 30 September 2016). Ghana must implement its action plan on improving internal processes and effective communication with its EOI partners for efficient exchange of information on request.